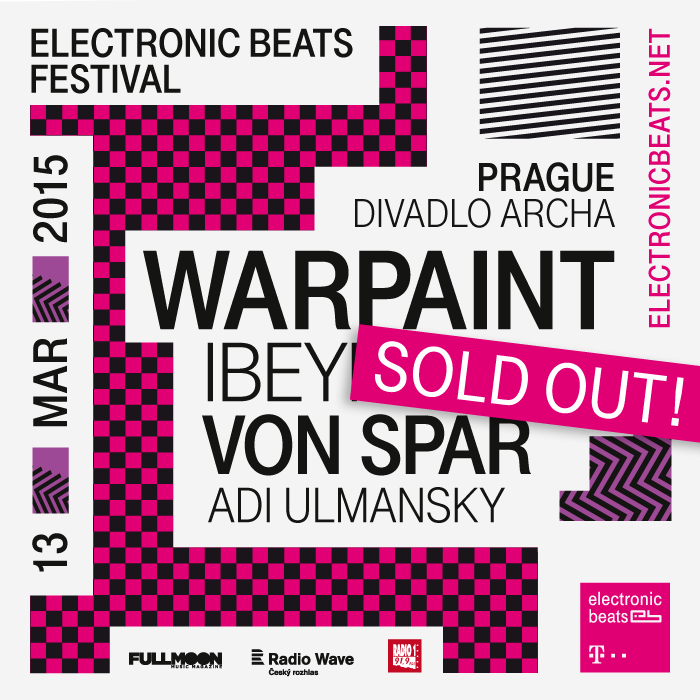 Update: The Prague festival is sold out! There are 48 tickets available at the door. We’re deep in preparation mode for our fast-approaching spring 2015 festival season, as it kicks off next month with indie electronics in Warsaw and continues with an alt-rap celebration in Bratislava. Today we’re rolling out the the rock/pop-inclined program for the upcoming Prague edition, which commences at the venue Divadlo Archa on March 13 at 20:00 sharp. We’re stoked to report that Los Angeles indie rock quartet Warpaint will open the proceedings. The band was originally billed to play our Leipzig festival in 2014 but, due to unfortunate circumstances, they had to pull out, so we’re doubly excited to make good on our promise happen this time around. They’ll be joined by Ibeyi, a project run by French/Cuban twin sisters Lisa-Kaindé and Naomi Diaz. The girls debuted on UK megalabel XL last year with the Oye EP, which combines ancestral Yoruba chants and French, English, and Spanish vocals with hip hop, jazz, and electronic influences. Next up is Von Spar, a four-piece band based in Cologne whose combination of cosmic synth melodies, trippy pop, electro, and rock has inspired some to herald them as the new-generation krautrock ambassadors. As with our forthcoming festivals in Warsaw and Bratislava, TMTS golden girl Adi Ulmansky is booked to close out the festivities in Prague. The singer/songwriter/producer’s style is a versatile, multi-genre take on pop, rap, and electronic music. You can purchase tickets to the festival via Ticketpro.cz, T-music.cz, Archa Theater, or by using the Ntry form below.